Great Wall of Los Angeles is one of Los Angeles’ true cultural landmarks and one of the country’s most respected and largest monuments to inter-racial harmony. 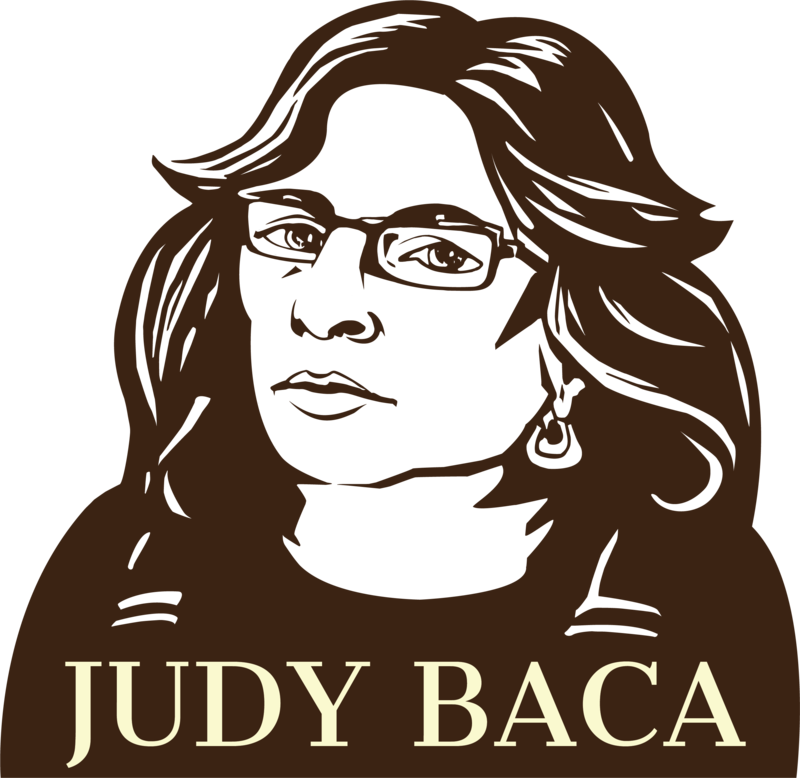 It is nearly 33 years ago now that three artists – Christina Schlesinger, Donna Deitch and myself – professed that art could indeed change our world and opened, in an abandoned police station, the Social and Public Art Resource Center (SPARC). Armed with the precedent of the WPA and funding for an artist workforce from CETA (the Comprehensive Employment and Training Act), we enabled a city-wide mural and public art program specifically geared toward the underrepresented of Los Angeles and the United States – the working poor, immigrant communities, youth and women. Sites of public memory were created by hundreds of artists, thousands of community members and youth, and produced a myriad of creative solutions for blighted neighborhoods, including installations in children’s play areas, youth centers, senior citizen centers, parks and street corners. In 1974, CETA enabled the initiation of SPARC’s Great Wall of Los Angeles. A “tattoo on the scar where the river once ran,” it became the signature work of our organization and a life’s work for me. 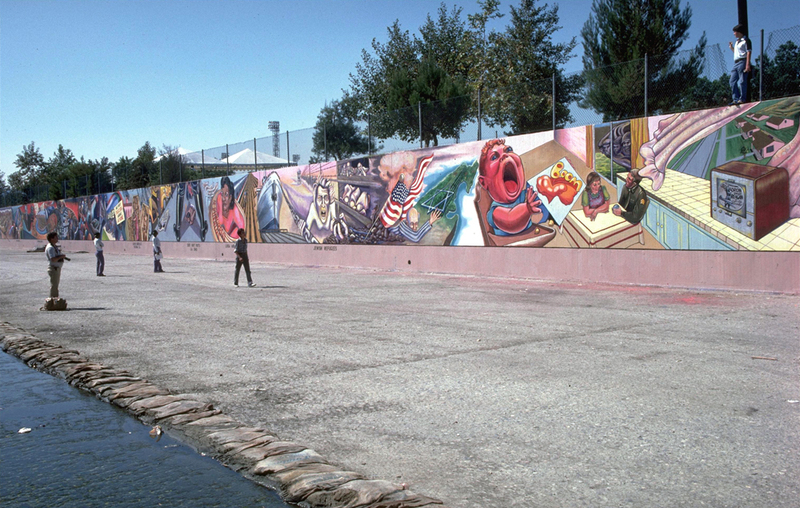 The mural, located in the Tujunga Wash Flood Control Channel, was continued over five summers, bringing together 400 youth and their families as well as artists, oral historians, ethnologists, scholars, and hundreds of residents from the many diverse enclaves of Los Angeles. At half a mile long, it is one of the country’s largest monuments to interracial harmony and a landmark pictorial representation of the history of ethnic peoples of California from prehistoric times to the 1950’s. This summer, alumni of the Great Wall youth teams (now parents with children the age they were when they first participated) will lead the next generation in the Wall’s restoration and continuation. SPARC is also collaborating with wHY Architecture to build a new, green, interpretive bridge over the Wall, built, in part, from the debris and detritus of the LA River, symbolizing the relationship between the history of the Los Angeles River and the history of the people of Los Angeles. But the preservation of the murals and bridge are dependent, not only on technical conservation and construction techniques, but also on renewing our contract with the people of Los Angeles and local, state and national governments. The Great Wall’s success in uniting diverse groups made possible the Great Walls Unlimited: Neighborhood Pride Program, a program that generated 105 new public murals by talented muralists of diasporas from all over the world. Individually, each mural celebrates the specific community for which it was painted. Collectively, like a string of pearls, the murals enable the emergence of one city through the amalgamation of individual neighborhoods, linked together by giant visual histories that speak to one another from the streets. During the Neighborhood Pride Program’s 18-year lifespan, sponsored in part by the City of Los Angeles, Los Angeles became the mural capital of the world, attracting tourists in throngs to see its public artworks. Today these same works have fallen into disrepair through neglect, vandalism, and withdrawal of city support. Los Angeles is a duplicitous city. On one hand it is the world’s commercial factory, on the other it is promoted as the world’s leading creative capital. Yet it is a city that fails to protect the artistic access and cultural democracy of its “majority-minority” low-income population. Growing directly out of the hopes, dreams and desires of the surrounding population, community-driven public art gives a voice to those that inspire it and provides a breath to all those that pass it as it speaks from the streets. Institutions like SPARC are critical to the delivery of the arts directly into neighborhoods, and are as vital as museums to the health of the arts in a great city. In a time in which we are poised to rebuild our country’s image we need a new WPA or CETA, a program that incorporates artists into our workforce to rebuild America’s infrastructure and international image. Now is the time for cultural as well as social democracy. We need a “brush-ready,” new New Deal, which includes the pencils, brushes, chisels and tripods of this country’s artists. It is our opportunity to show the world what a democratic nation truly looks like.